Lick the competition as two funky faunae. Two rather bizarre new heroes, five massively beautiful worlds, dozens of quirky characters, tons of shiny collectables and a giant fart bubble…? It can only be the wacky and wonderful Yooka-Laylee, an open-world platformer in the masterful mould of classic platformer adventure games. 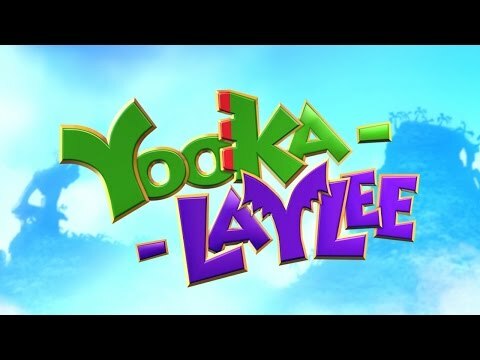 Take control of Yooka (the green one) and Laylee (the wisecracking bat with a big nose) as they tongue-whip, sonar blast, bounce, fly, thrash and bash their way through a variety of colourful playgrounds jammed to the gills with oddball creatures and hulking bosses. Gather up all the Pagies you can find to unlock and expand the worlds around you, then use their magic to thwart corporate creep Capital B in his devious scheme to absorb all of the world’s books and convert them into pure profit. 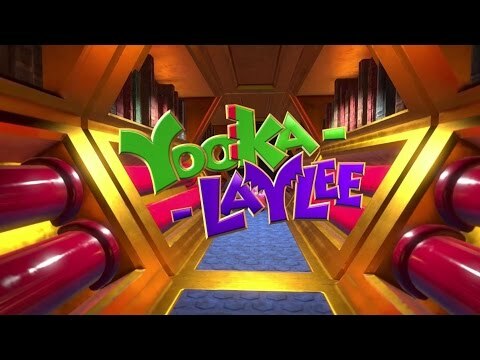 With mine cart challenges, retro-tastic Arcade games, quiz shows, co-op mode and more than eight unique multiplayer games, Yooka-Laylee is a long lasting blast from the past, brought bang up to date for PlayStation 4. Get a full rundown of the mad-cap cast joining Yooka and Laylee, and a first look at a special guest character. Check out the new abilities and locations unveiled at Gamescom 2016. 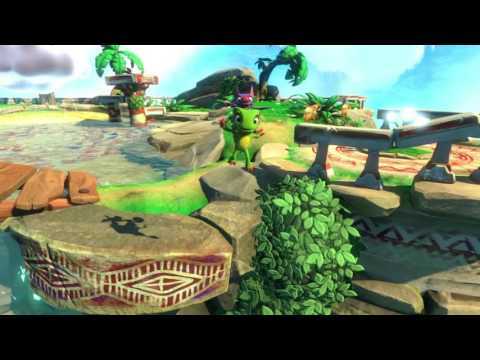 Check out an all-new open-world platformer featuring heroes Yooka and Laylee. Want more awesome action platformers? Rediscover the origin of the galaxy’s double team supreme, exclusive to PS4. Create your very own Skylander hero to protect The Skylands against the evil Kaos.